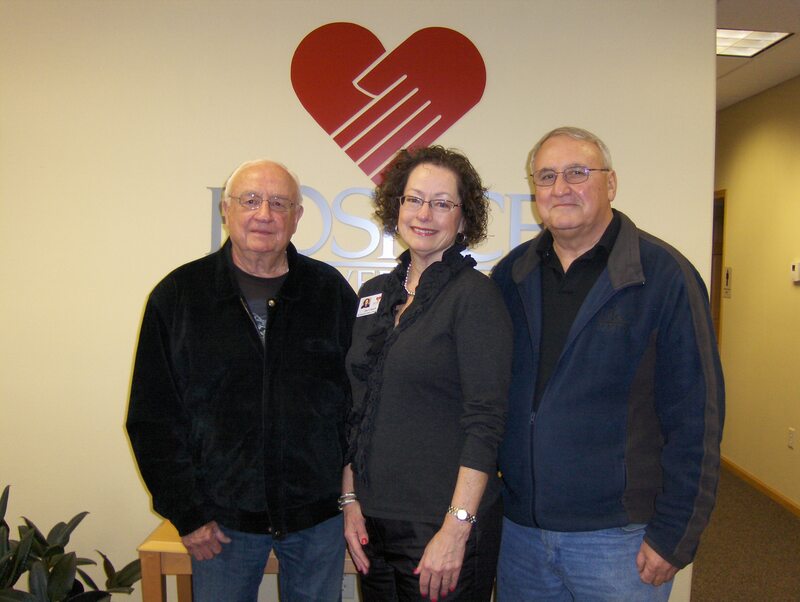 The Detroit Lakes Eagles Aerie 2342 Past-Presidents Club donated $2,500 to Hospice of the Red River Valley. Ron Wenberg, CEO, and Jerry Wagendorf, gaming manager, presented the gift to Joy Crouch, development officer with Hospice of the Red River Valley. The gift will have a significant impact on hospice care in the area. “The Eagles Club has demonstrated a deep commitment to ensuring hospice care continues long into the future,” Crouch said. The donation will be used to provide compassionate end-of-life care to those in Detroit Lakes and surrounding communities. To learn more about making a deliberate gift to Hospice, and the opportunity to have your investment doubled through a grant from the Otto Bremer Foundation, call (800) 237-4629 and ask to speak with a development officer.